Now playing in theaters around the world is Ridley Scott’s Exodus: Gods and Kings. 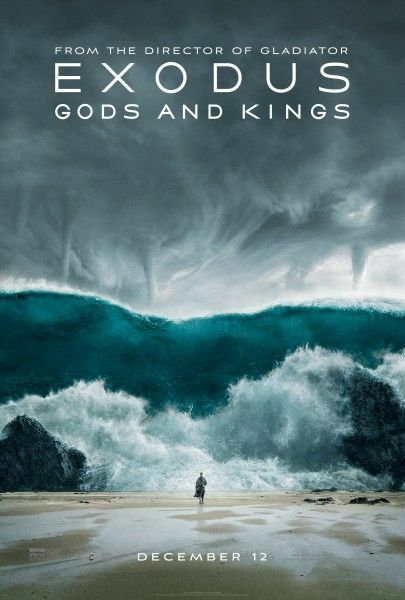 As most of you know, the film is Scott’s take on the Bliblical story of Moses, with Christian Bale playing the former Egyptian prince and Joel Edgerton filling the role of the Egyptian Pharaoh Ramses. The film also stars John Turturro, Ben Mendelsohn, Sigourney Weaver and Ben Kingsley. For more on the film watch these clips or the trailer. At the press junket in Paris I landed an exclusive video interview with Aaron Paul. He talked about what it was like working for Ridley Scott, why he’ll always remember shooting the Red Sea sequence, deleted scenes, future projects, his wife’s charity, and more. Hit the jump to watch. What was it like working for Ridley Scott on a huge Hollywood movie. Was there a day or two that he’ll always remember from making Exodus? Talks about the parting the red sea sequence. Talks about what he has coming up. Talks about his wife’s charity Kind Campaign which talks to girls about the effects of bullying.